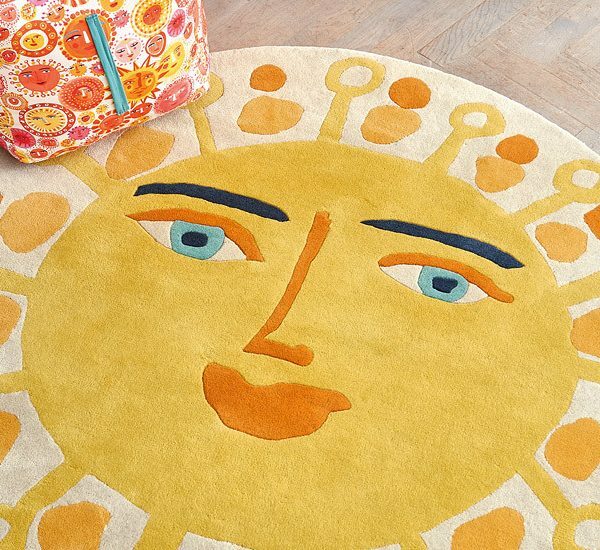 Hand tufted by expert craftsmen from 100% wool. 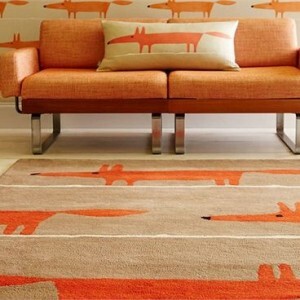 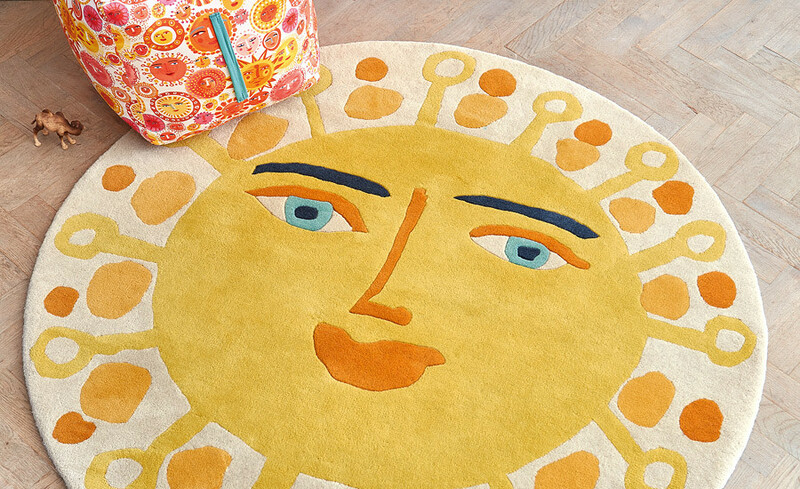 This sundance rug will brighten up any room with its cheerful sunshine face emblazoned with a sunny smile. 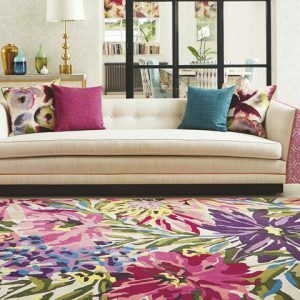 This vibrant hand tufted wool rug creates an eye-catching feature, a perfect coordinate to the Hustle Bustle fabric story also available from Aspire Design.